The Sandia 10-inch power brush tool is the right tool for the job to blast soil and dirt from tile, grout, and smooth or rough hard surfaces. Caution: too powerful for carpeting! The rotary arm spins to create amazing soil blasting power working from 700 to 2,000 psi, while the vacuum ports pick up all the waste. This brush tool is ready to work with truckmount carpet machines, pressure washers and vac systems, or high pressure portable extractors (1200psi). When using this light-weight 10 inch stand up power brush tool, you can work in a front-to-back, or a side-to-side motion. It will clean in either fashion, and works effectively on uneven stone, tile surfaces or smooth concrete. We also have our 5" handheld hard surface brush for those hard to reach areas like countertops, corners, stairs, and vertical surfaces. Ergonomic, comfortable hand grips with easy-pull trigger. 2-year full replacement warranty on poly base unit. Split vacuum for even and complete water pick-up. Low profile: gets under counters. 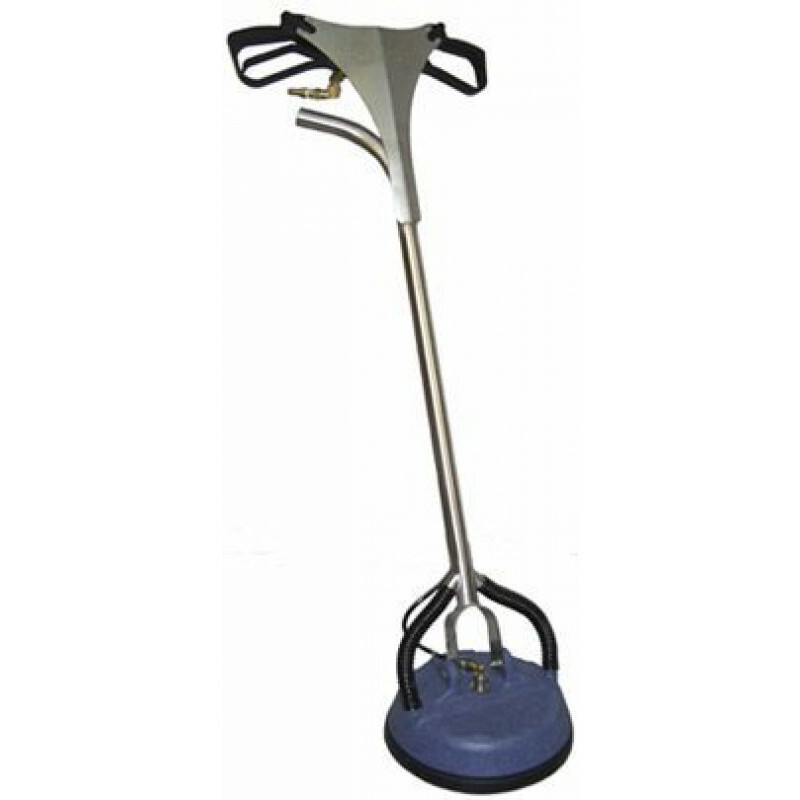 Non-fatiguing: light-weight head glides easily over the floor. Unique airflow system allows use on portables or truckmounts - both with excellent solution recovery. Stiff nylon brush with skirt - great for stone & concrete.